Lifelong Westlake native Keith is the third generation to direct the Chapel. 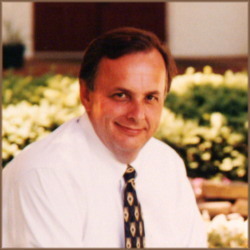 He is a member of the Ohio, Cuyahoga and Lorain County Funeral Directors Associations, and the Cremation Association of North America. Keith is past president of the Cuyahoga Funeral Directors Association. He is past president twice of the Westlake Kiwanis. Keith is a member of the CBOF (Christian Business Owners Fellowship. Keith was ordained a Deacon for the Diocese of Cleveland in May 2015 and is assigned to St. Joseph Parish, Avon Lake. Keith is past president of Westlake Historical Society. Keith and his wife Mary Beth are also members of the West Side Kononia Community and Lorain Spanish/English Cursillo. Keith and his wife of over 41 years, Mary Beth, have three children: Andrew, vice-president of Jenkins Funeral Chapel ( fourth generation); Marlene Nagy, an art teacher at Lutheran East High School; and Thomas, works for Hyland Software. They have three grandchildren B.J., Macey Jane and Harrison Edward. Also a lifelong native to Westlake, Andrew is a graduate of Westlake High School and the University of Findlay. 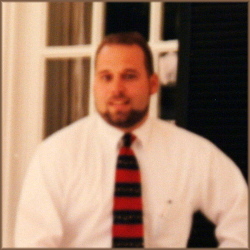 Andrew completed his studies for his funeral directors license early in 2007, and passed his State and National Boards in 2008. 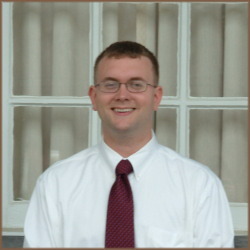 Andrew is a member of the Cuyahoga Funeral Directors Association, Cremation Association of North America, and the West Shore Chamber of Commerce. Andrew and his wife Kim reside in North Olmsted with their two children, B.J. and Macey Jane. Jim started with Jenkins in 1987, while attending Lorain Community College, as a part-time employee doing lawn maintenance. Jim spent his early years in North Ridgeville. He left to complete his degree in mortuary science in Cincinnati, returning to Jenkins in the spring of 1992. Jim is active in the Ohio, Cuyahoga and Lorain County Funeral Directors Association and Ohio and Cuyahoga County Embalmers Association. He is also a volunteer soccer and softball coach, and he participates in the Westlake Youth Commission. Jim and his wife Michele, and their daughter Natalie are members of St. Ladislas Catholic Church. Started by Glen A. Jenkins (wife Joan) (retired) and Melvin Jenkins (wife Bernadine)(deceased) and now in our fourth generation at the funeral home is certainly a reflection on the quality standards and personal care every family receives. Family owned and operated ..because nothing is more important than your family.